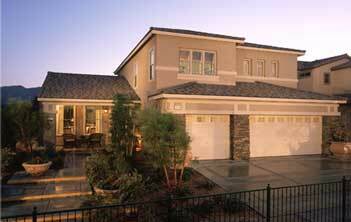 Northpointe homes in North Las Vegas real estate is the newest community at Eldorado Highlands by Pardee Homes. Eldorado Highlands is near Aliante Las Vegas master plan. Northpointe is designed with flexibility in mind. The new homes for sale in North Las Vegas include up to six bedrooms, large kitchens, hobby rooms, spacious three car garages, roomy family and bonus rooms. 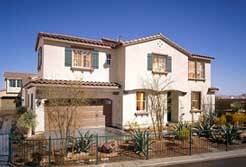 The North Las Vegas homes are one and two story with up to six bedrooms and three baths. The homes are priced from $329,950 to $417,950. Four different exteriors feature Italian, Andalusian and Spanish Colonial designs with 2,321 to 3,861 square feet. Tamarind Las Vegas homes in Eldorado Highlands real estate by Pardee Homes has released four new model homes for sale all professionally landscaped and decorated. These beautiful homes have many upgrades, in a great location, with professional landscaping in Eldorado Highlands real estate.